Dimensions: m 13 x 6 x h 0,8. 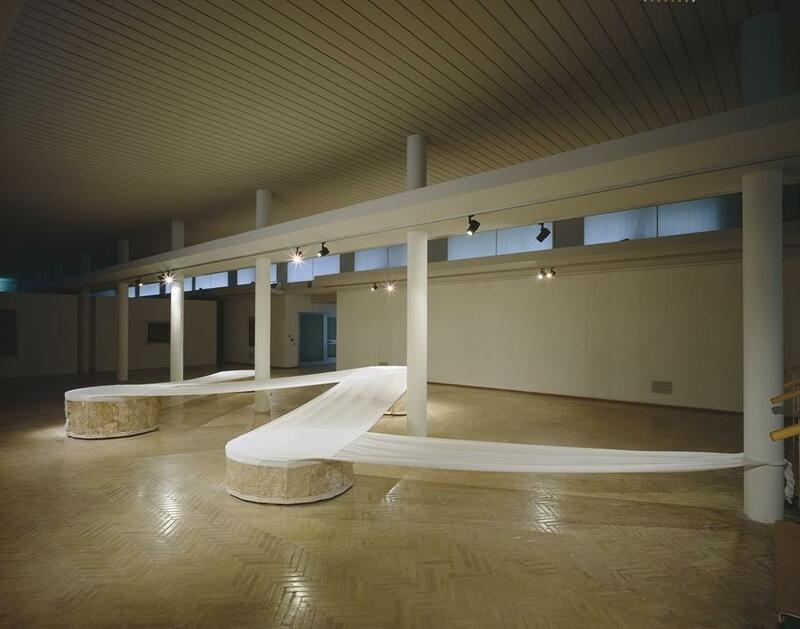 Maria Dompè’s participation in this important exhibition was a direct result of a year spent in Japan. 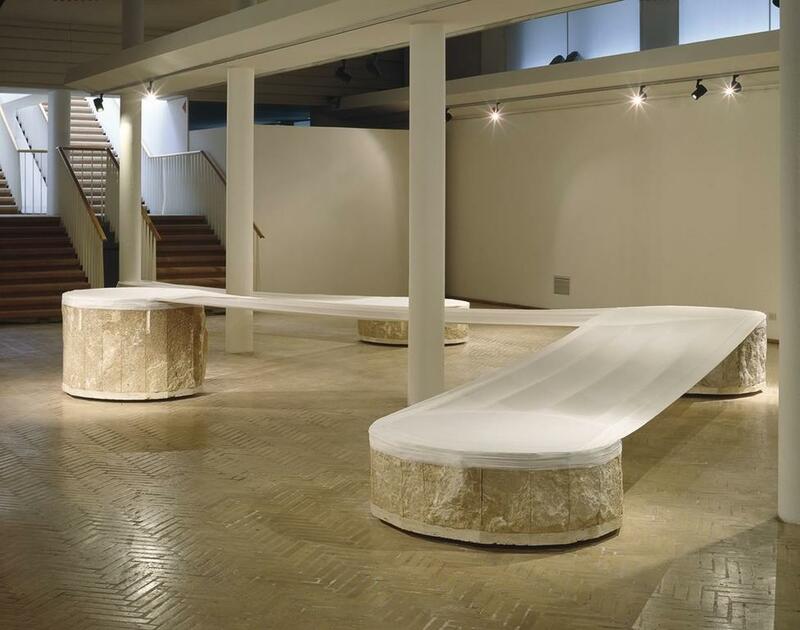 With customary sensitivity in the choice of environment and materials, the sculptress transformed a room of the new wing of the Galleria Nazionale d’Arte Moderna into a stroll along the river. 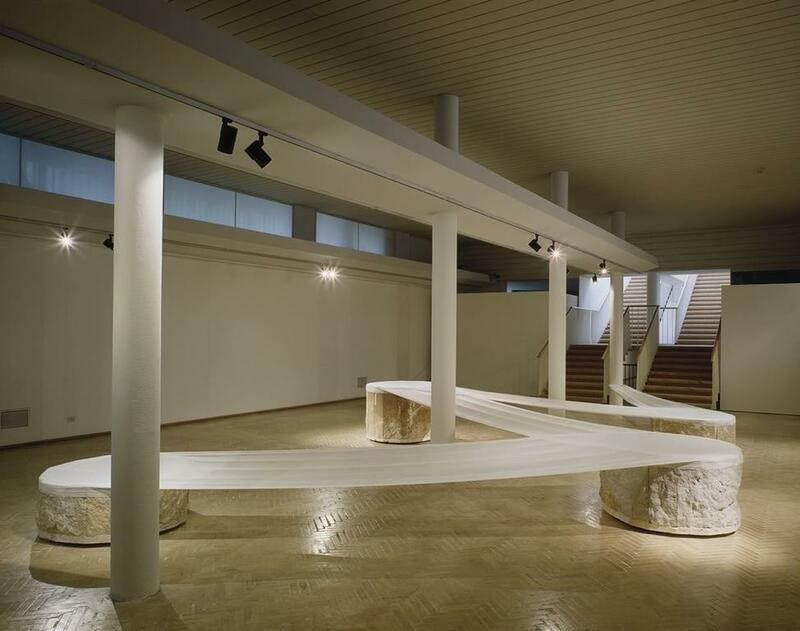 Four cylindrical travertine elements, with a rough surface like large stones, alternate on the two sides of the columns, while the precious handmade cloth that joins them, creates a zigzagging passage, both light and dynamic. The inspiration for this incursion is the result of an emotional evocation of a special place near Kyoto, where the river Kibune (the river of the fireflies) flows between sacred stones: a place of imposing rocks, but whose sacredness is much more strictly linked to the perpetual flow of water that unites them: the meaning, precious and profound, from the cloth that unites and connects the stones there is revealed the act that recreates the suggestiveness of the Kibune Jinja and reflects an emotion linked to the sacredness of places and of nature.